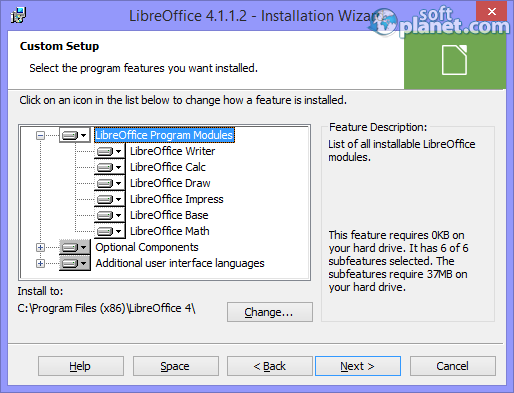 SoftPlanet makes it possible for everyone to get free LibreOffice download directly from our servers. There is no registration needed for downloading. 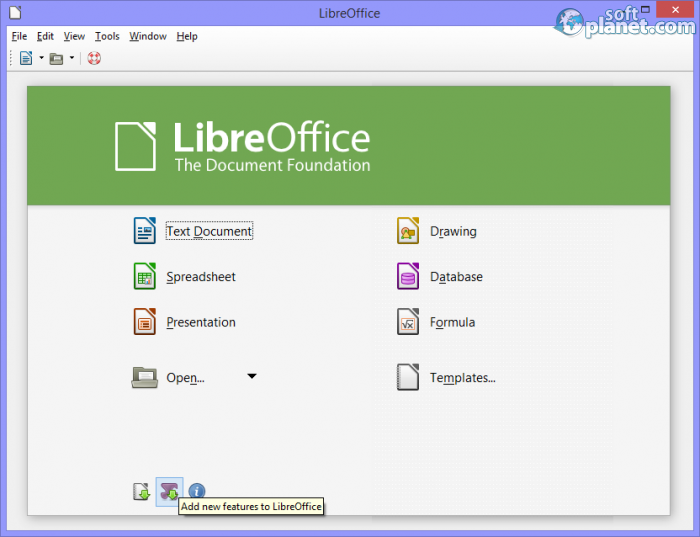 LibreOffice 4.4.1.2 is a free and open source application, which is developed by The Document Foundation company. 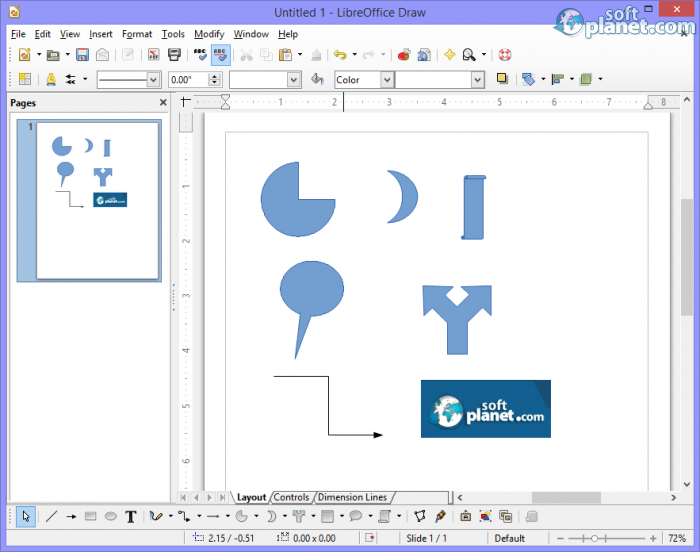 The initial release was launched in January 2011, after the separation from OpenOffice.org in 2010. Like its predecessor it is a suite package which can be downloaded for free and comprises of programs for word processing, spreadsheets, slide-shows, diagrams, database maintenance and math formulas. The main idea which lead to the creation of this software tool was for it to be compatible with the other famous office suites like MS Office and OpenOffice.org. Of course some of the features and the formatting are the same but there are things which are handled differently or are not supported. It also has its own file format called Open Document, so all the stored files have these two letters as part of the file extensions. You can use this program on any Windows, Mac or Linux-based computer. LibreOffice has a portable version too. Like the other office bundles language support is very well done with more than 30 languages supported. 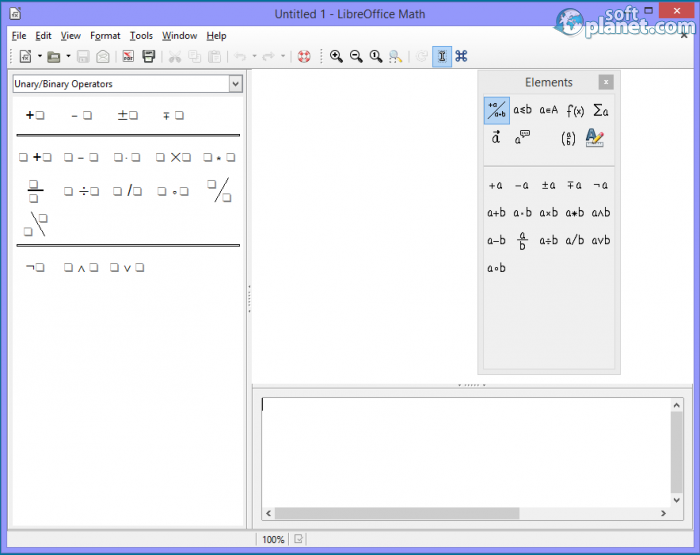 The applications which are included in the package are six and they are called Writer – a word processor, Calc – a spreadsheet program, Impress – a presentation program, Draw – a vector graphics editor, Math – a formula manager and Base – a database management application. There is only online help available for all the suite apps but it is very detailed and informative. The main suite of the LibreOffice interface has direct shortcuts for all the apps. Also you can start a new document on any of the supported type programs from the File menu. The View menu can be used to populate the Standard toolbar and to customize it. Those of you who have seen the OpenOffice.org will find only minor differences in the overall view. All the components of the program also look familiar, so no one will have to learn now to use all of them. HTML, XML and Master documents can be created with ease too. Many templates can be imported or created using the template manager. 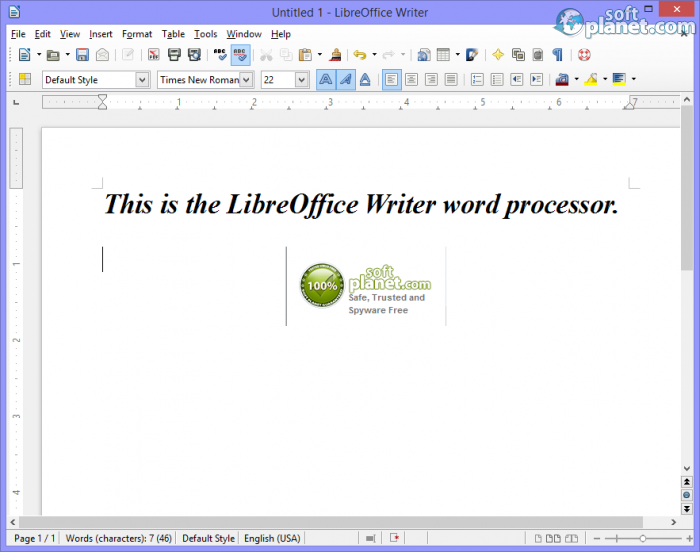 All the components of LibreOffice have a look that is very similar to the MS Office apps look. Therefore you can use them in the same way. There is nothing different if you want to create a text document, format the text, insert pictures and tables, create spreadsheets, use the chart wizard for them, design beautiful presentations with many different slide transitions, draw whatever diagrams, shapes, flowcharts and more. But at the same time do not be surprised if you look for a feature which exists in the other software products but you can't find it here. Our security scan shows that LibreOffice is clean from viruses. The current version of LibreOffice has been scanned by our system, which contains 46 different anti-virus algorithms. 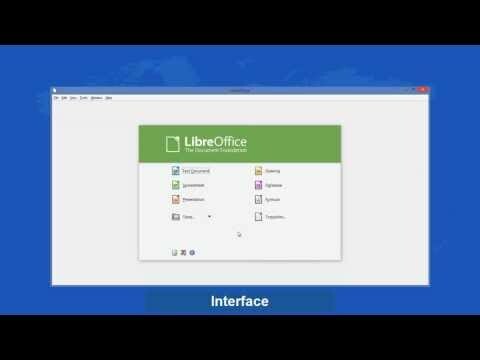 That ensures that LibreOffice 4.4.1.2 is 100% safe for your computer.